These presentation slides 45270 are complete compatible with Google Slides. Simple download PPTX and open the template in Google Slides. 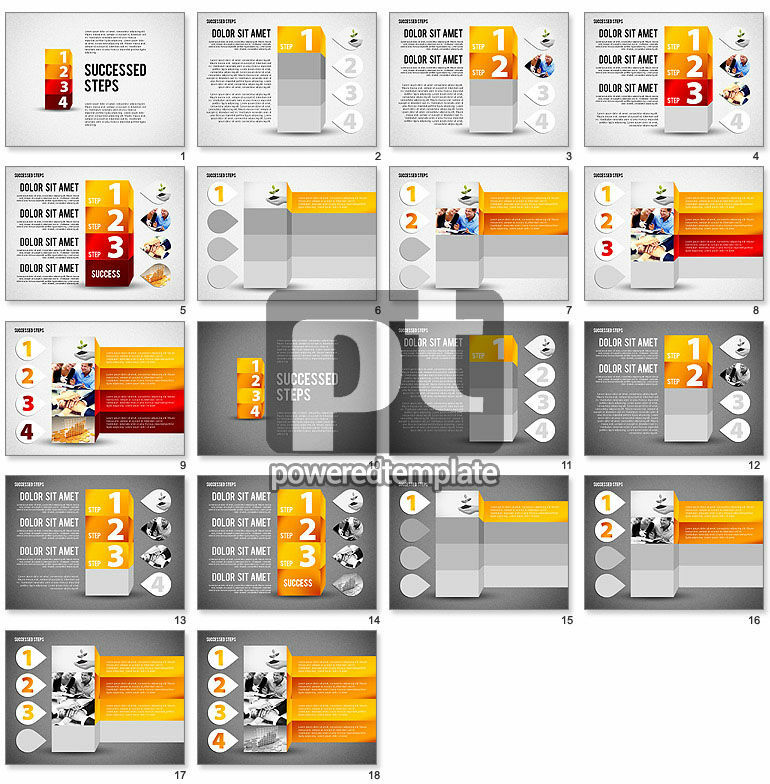 This stylish laconic 3D theme is perfect for step by step actions, making plans, agenda, results, schedules, steps to success and other presentations referred to such issues. It has rather minimalistic, but bright design with 4 empty or full cubes, numbers, stripes, photos and cool icons. You can use this sample in various spheres of business and be sure your audience will love it.